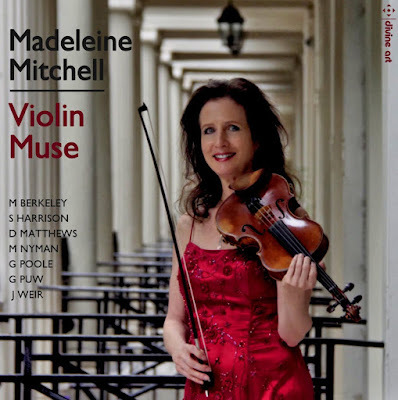 Violinist Madeleine Mitchell's new CD, Violin Muse, which comes out this month on the Divine Art, isn't just a disc of seven new works for violin by Guto Puw, Michael Nyman, David Matthews, Sadie Harrison, Geoffrey Poole, Judith Weir and Michael Berkeley. It is also a remarkable testament to Madeleine's interest in contemporary music with five of the works on the disc being written for her, and during her career she has had around 30 works written specifically for her. I recently met up with Madeleine to find out more. The works on the disc represent a collection of pieces written for Madeleine which she has been building up over the last ten years. 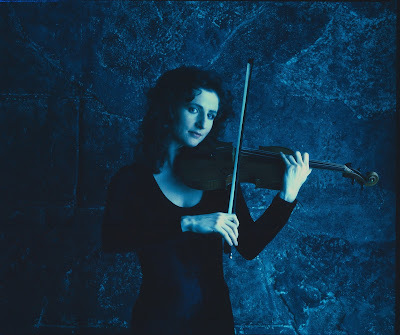 Some of the composers on the disc are old friends, the earliest is by Michael Nyman, a composer whom she knows well, and his Taking it as Read was written for Madeleine for her Red Violin Festival in Cardiff (the first international, eclectic celebration of the fiddle across the arts). She has known David Matthews for twenty five years, and knowing that he likes to write for strings she commissioned a piece from him. He warmed to the idea of writing a Romanza, and he wrote two versions one with piano accompaniment and one with string orchestra, and Madeleine premiered both. Madeleine first met Guto Puw, whose violin concerto Soft Stillness appears on the disc, at the Huddersfield Contemporary Music Festival. Puw had written an oboe concerto for BBC National Orchestra of Wales and he was keen to write a violin concerto. Madeleine premiered the work in 2014 at Bangor with the Orchestra of the Swan, conductor David Curtis. As it was a Shakespeare themed concert, Puw based the concerto on lines from The Merchant of Venice and called the piece, Soft Stillness. But the music that he first sent Madeleine was fast and furious, when she phoned him to find out more he explained that this was the wind in the trees. She explains that it is the second movement which evokes 'soft stillness in the night', and describes it as a wonderful moment with a soaring violin writing. Madeleine was invited to play the work with BBC National Orchestra of Wales at the Vale of Glamorgan Festival, and it was recorded live by the BBC. The performance went well and she is very grateful to the BBC for licensing the recording to be used on the disc. Adding the violin concerto into the mix on the disc seemed a good idea, so that it was not just works for violin and piano, and instead is an exploration of different timbres. Madeleine's association with Sadie Harrison goes back some way, Aurea Luce was originally written at Madeleine's request for a concert to celebrate Harrison's 50th birthday. Harrison started writing Aurea Luce on International Women's Day, and based it on a text by the first wife of Boethius, and the piece includes evocations of change-ringing (using changes specific to the church where the performance took place), and chant, but also references James MacMillan and Arvo Part. The final work written for Madeleine is Geoffrey Poole's Rhapsody from 2015, again a piece which exists in both piano and orchestral guise. Last year Madeleine was at Dartington Summer School and happened to be there the same week as Judith Weir, and thought that it would be nice to do something by Weir in her recital programme. She performed the violin duos Atlantic Drift, which evokes the flow of music between the UK and the USA. It turns out that the duos are some of Weir's favourite music, and Madeleine comments that they are small and practical, very playable and subtle. And Madeleine has included these on the disc too. A final work on the disc arose out of discussions some years ago when Michael Berkeley was artistic director of the Cheltenham Music Festival and Madeleine was planning a programme Nocturne of night music. Berkeley mentioned that he had an early violin sonata which he had discarded but had re-worked the slow movement into a piece called Veilleuse (Night Watch Man), and this makes the final piece on the disc. It makes a very full CD, 77 minutes, and most of the pieces have not been recorded before. Madeleine enjoys playing contemporary music and comments that it is great to be able to talk to composers about their pieces, Judith Weir for instance was very particular about the lengths of the gaps between each of the movements in her piece. And this also informs and refreshes her approach to music of dead composers, and helps to inculcate a respect for the score. But Madeleine does not just perform contemporary music, and has an eclectic repertoire with an interesting in late Romantic and early 20th century music as well, and enjoys combining standard repertoire with contemporary. 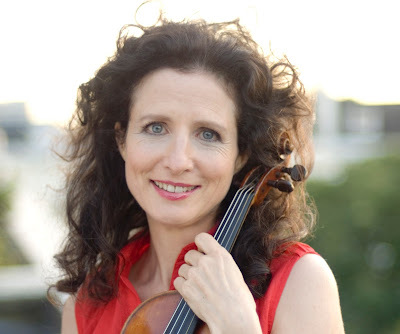 She has been playing contemporary music for most of her playing career, one of her first jobs as a young violinist was as violinist with Peter Maxwell Davies' ensemble The Fires of London. She describes it as a baptism of fire, moving from the Brahms Violin Concerto to contemporary works, it was very different. Yet she met lots of composers, and having played Brian Elias' Sextet with the Fires of London, she commissioned Elias to write a piece for her London debut. She has commissioned many pieces but has also had works written for her as presents. In the 1990s she was due to do a recital in Scotland and was chatting to the promoter about the programme, most of it standard repertory, and she thought to add a piece by a living Scottish comoser. She came across James MacMillan's After the Tryst, and added it to the programme. It went well and the critic in The Scotsman commented that After the Tryst was short and could do with a companion piece. 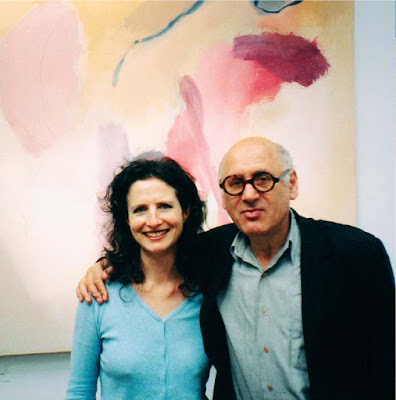 She commissioned Kiss on Wood from James MacMillan (written whilst he was working on Seven Last Words), which went on to have a huge subsequent life. Madeleine played in Nigel Osborne's opera The Electrification of the Soviet Union which included a terrific, and tricky, violin solo. Sometime later she was putting together her previous collection of music written for her, In Sunlight (on NMC), and she bumped into Osborne who asked if it was too late for him to write a piece for the disc, and a day later his manuscript appeared. It was a tricky piece, but Nigel does play the violin so he was able to demonstrate what he wanted, and the piece evokes sounds of insects and rushing water. Madeleine was discovered to be musical at a fairly early age, the Sunday School teacher told her parents that she wa leading the singing. She started piano and theory lessons and loved it, and around the age of eight she took up the violin at school and enjoyed that too as it enabled her to play with other peope. She auditioned for the Royal College of Music Junior Department, with both piano and violin, and they though her violin better. She loves the violin, because of its ability to sing but also because of its portability. As a teenager she was able to listen to her father's tapes, with recordings of violinists like Heifitz, Ginette Neveu and Menuhin. She emphasises that she wasn't prodigy, but has just kept learning. Looking ahead, Madeleine is travelling to the USA and taking a programme of British music. She finds British music goes down well there, partly because it is not always widely played. The programme covers 100 years of British music with Bridge, Elgar, Ireland, and Howells plus the Judith Weir duets which will enable her to team up with violinists from local colleges. Back in the UK, the Canterbury Festival is having a Stanford Weekend and she will be playing music by Stanford's pupils, including Eugene Goosens, plus Stanford' last piece, his Irish Rhapsody No. 6. She will then be returning to the USA, visiting New York, Texas, Kansas and Colorado. 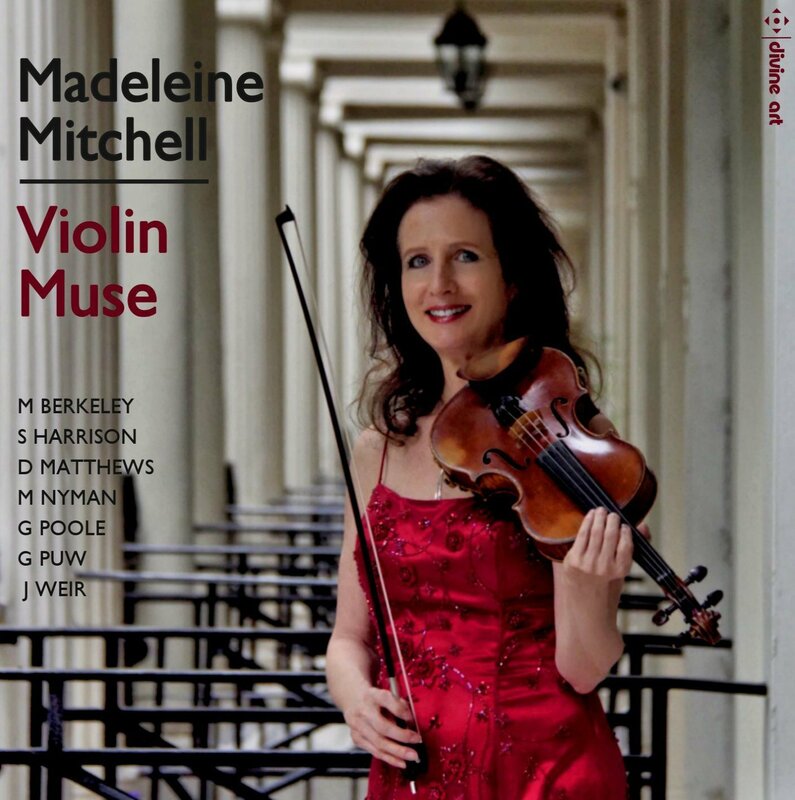 Madeleine's Cd, Violin Muse is out on the Divine Art label on 20 October 2017 (available from Amazon). She is having a launch event at the Britten Theatre, at the Royal College of Music, on 25 October, which will include discussions with some of the composers on the disc. And next year, as David Matthews is 75 and Michael Berkely is 70 she will be playing their pieces in a celebratory concert alongside Brahms, Debussy and Prokofiev.